Our drug policy system is an expensive failure. What are the alternatives? Needle exchange programme, Portland, Maine 2012. Press Association/Robert F. Bukaty. All rights reserved.The war on drugs has been an expensive failure, but its true price tag can only be measured when we include the indirect costs that far exceed the $100 billion that governments spend each year trying to control the world supply of illegal drugs. The full implications of this wasted expenditure should factor into arguments for an urgently needed and radical redirection of drug policy. Much of the $100 billion pays for apprehending, processing and incarcerating people for non-violent drug offences. But this figure is far outweighed by the value of the illegal drug market that results from punitive drug wars, a figure estimated at $330 billion, a vast source of funds for corruption and insurgency. Militarised drug disruption programmes in central and south America and Asia have caused hundreds of thousands of deaths, the displacement of significant numbers of people and massive environmental degradation. The global south has also lost significant investment opportunities in their economies and health systems as they pay to prosecute drug wars, often under pressure from the United States. The scale of the policy’s failure is profound, and it is imperative that we step back from the ideology behind it. In place of an expensive ‘war’ against producers and traffickers in illegal drugs with front lines in low-income states, we should work to reduce problematic demand for these drugs amongst consumers at home, including by ensuring that the small percentage of drug users who are dependent on drugs get access to the full range of services and support that they need. The prohibition-first approach tramples on human rights and relegates public health to a secondary consideration. Reversing these priorities would improve lives at both ends of the supply chain, perhaps dramatically. And economic benefits and their knock-on effects could also be significant. The prohibition-first approach tramples on human rights and relegates public health to a secondary consideration. The key is to follow the empirical evidence. Most demand comes from a small number of users, so treating relatively few people can have a disproportionately large impact. Spending on good quality treatment for addiction can produce a many-fold return on investment: in reduction in crime, in saved healthcare costs and earnings of people who become productive again. Even expensive residential treatment can pay for itself. Effective treatment options do exist. One is opioid substitution therapy (OST) in which a prescription opioid medication like methadone or buprenorphine helps people manage the craving for more dangerous substances. OST, when scaled up, can contribute to reducing overdose, the cause of 47,000 deaths in the United States in 2014, according to the Centers for Disease Control and Prevention. OST pays for itself many times over, partly through savings in health costs and reduction in the harms of problematic opioid use. 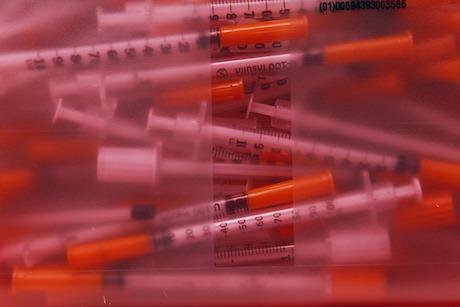 Needle exchanges help to prevent incidence of HIV and hepatitis C, both of which are expensive to treat. Needle and syringe programmes are among the best researched interventions in all of public health. They prevent disease without encouraging new or more frequent drug use. But scientifically sound drug treatment and preventive programmes like needle exchanges are not options for most of the world’s drug users. They are not available or there are major barriers to their use. Often this is because of a belief that the best response to drug use is a criminal justice rather than a public health response. Drug courts in the United States, for example, were established, in theory, to offer an alternative to jail in the form of court-supervised treatment for drug dependence. But in many cases judges do not have the training to make good medical decisions, and some don’t seem to listen to health professionals. OST is disallowed by many drug courts, which is a missed opportunity to get people what may be the most effective treatment possible. Some judges also punish ‘failure’ of treatment programmes by putting people in jail, even though health professionals know that not all people succeed the first time in addiction treatment. We must challenge attitudes that portray drug use as the result of a moral failing or character flaw. We must challenge attitudes that portray drug use as the result of a moral failing or character flaw. The US experience suggests that many prevention programmes that preach abstinence at kids and try to scare them away from drugs don’t have a good record, and may even make drugs more, rather than less, appealing. Approaches based more on the reality of kids’ lives – finding out what really motivates them to try drugs – and on helping them to protect themselves from problematic use have a better chance of success. Official rhetoric is shifting slowly away from complete prohibition. The inertia that characterises the federal government in the United States means that progress must be sought at the state and municipal level. One such initiative is the Law Enforcement Assisted Diversion (LEAD) programme that began in Seattle that allows police officers to divert low-level offenders into drug programmes or to employment assistance or housing or social support in the community rather than jail. Albany and Santa Fe are among other communities to adopt LEAD programmes. Laws against marijuana use have been relaxed in a number of states, and part of the argument in favour of state regulation has been revenue-based. The state of Colorado raised more than $70 million from marijuana in 2014, more than it took in for alcohol sales, and savings have accrued from averted law enforcement and incarceration on the other side of the ledger. Economic pressure continues to grow on the existing system, and evidence-based arguments for a change in policy should incorporate the exorbitant indirect and direct costs of the current system, not just in the United States but in producer and transit countries long ravaged by the disastrous consequences of the war on drugs.